Use this app to earn and spend CREAM rewards stamps (7 stamps equals a free ice cream sandwich); Pay with your phone; Get the latest insider CREAM news; and refer friends. Stay tuned, we've got even more features coming soon. 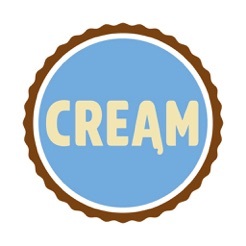 For help with this app, please email appsupport@creamnation.com. 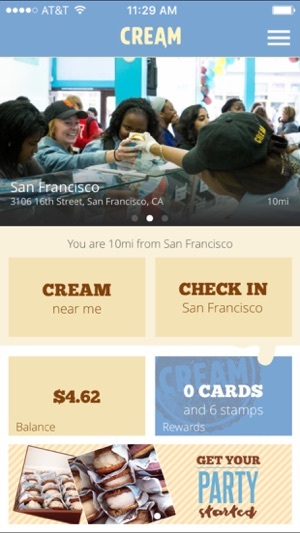 Discover CREAM stores near you via the app with turn by turn directions. 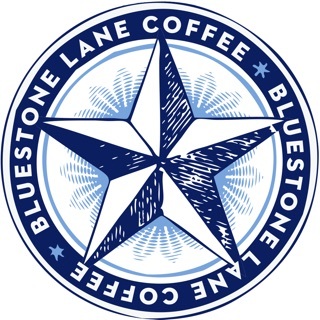 Share store location details via Social Media channels. Mobile Payment and Digital Loyalty Card built-in: no more searching for cash or swiping cards. And you'll never miss out on a free CREAM treat when you've got enough stamps, because the app keeps track of your reward stamps. We are constantly making improvements so we can make it better for you. Get the latest version for all of the available features and improvements. Thank you for using the Cream App!